Currently working its way through House of Representatives committees is H.R. 2366, the Discharge Student Loans in Bankruptcy Act of 2017. It’s always good to hope, but forget about discharging student loans in bankruptcy in the near future. On October 20, 2017, as the D.C. 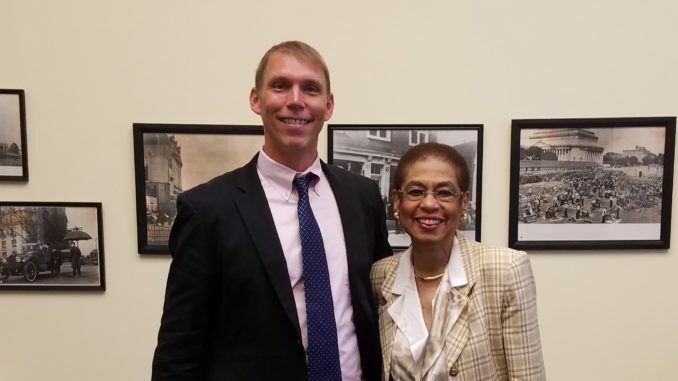 Chair of the National Association of Consumer Bankruptcy Attorneys, I met with District of Columbia Congresswoman Eleanor Holmes Norton to advocate for the bill. 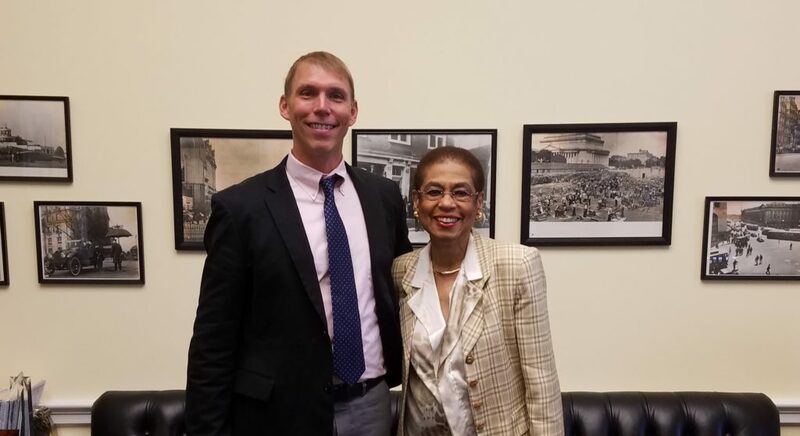 After our meeting, the Congresswoman plans to co-sponsor the bill. But, to be honest, the bill has little chance of passing with the current makeup of the Congress. Congress has been steadily eroding bankruptcy protection for student borrowers since 1976. Historically, bankruptcy treated student loans the same as any other unsecured consumer loans and were thus dischargeable. In 1976, however, Congress changed the Bankruptcy Code and federal student loans were no longer dischargeable. In 2005, the Code was changed again: this time, bankruptcy debtors could no longer discharge private student loans. Today, student loans can only be discharged in bankruptcy upon a judicial finding of undue hardship, a nearly impossible legal standard to meet. Yet today the discharge is needed more than ever. The Discharge Student Loans in Bankruptcy Act of 2017 is the first ever bipartisan legislation to discharge both federal and private student loans in bankruptcy. H.R. 2366 was introduced on May 4, 2017 by Congressmen John Delaney (D-MD) and John Katko (R-NY). Previous bills attempting to reinstate the bankruptcy discharge for student loans have come and gone. Obviously, not all student loan borrowers will need bankruptcy protection. Several refinancing and repayment programs offer viable solutions for many of borrowers. There are other student loan borrowers, however, for whom those programs simply won’t work. Hundreds of thousands of borrowers have no conceivable prospects for ever repaying their loans. Americans now owe a staggering $1.45 trillion in student loan debt, spread out among about 44 million borrowers. Higher education is a source of research, innovation, and inspiration. Our nation’s colleges and universities are the training grounds for America’s future workforce. But it is also a very big business. On just the loans made between 2007 and 2012, the federal government stands to bring in $66 billion in pure profit. Private lenders and universities will make many times more than that. For many student borrowers, the cumulative effect of fees, interest, and penalties pushes loan balances to several times the amount they originally borrowed. And according to a report released by the Government Accountability office in December 2016, the number of borrowers age 65 and over facing this problem jumped 540% between 2002 and 2015. Many are now losing out on their Social Security checks to pay back student loans. Student loan debt now eclipses both credit card debt (dischargeable in bankruptcy) and auto loan debt (also dischargeable in bankruptcy). It’s time to bring back the student loan discharge in bankruptcy.